Complete with van, box all packing & battery card. 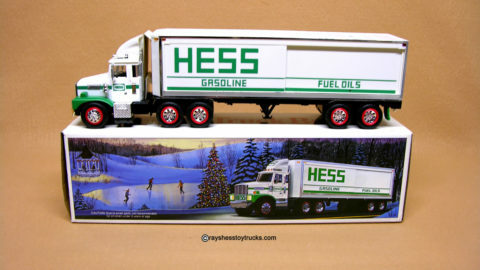 This is also the first Hess truck to have a 1-piece box. 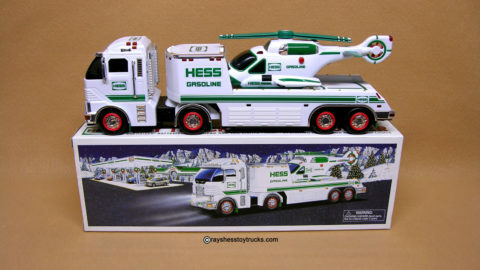 The truck measures approximately 12″. 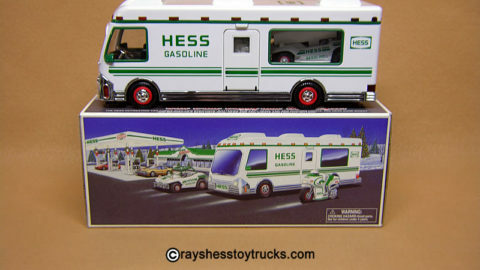 The Van is a replica of the actual GMC motor homes Hess used to train personnel at service stations. It has a side door that opens, pop-up TV antenna, and operating headlights and taillights. The van has the date of 1978 imprinted on the bottom in Roman numerals but in actuality, this was not sold at stations until 1980. 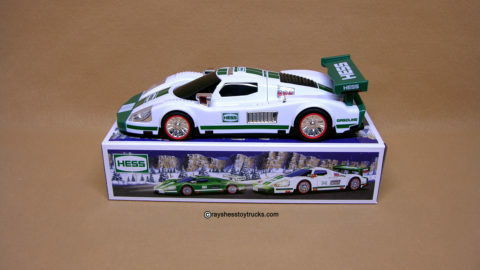 This is the first Hess edition to have a 1-piece box. Box is in excellent condition with minimal wear (see pic) and comes complete with the top & bottom inserts as well as the battery card. Van is in bright white with little to no glue marks like most 1980 vans. Van is missing small door handle. Van measures approximately 12″ in length.